Go slowly until the traffic ahead moves. Get as close as possible to the car in front of you. Stay out of the intersection until you can pass through. Sound your horn to make the cars move up. You cannot enter an intersection if traffic is backed up on the other side and you cannot get completely through the intersection. Wait until traffic ahead clears so you do not block the intersection. Which of the following statements about railroad crossings is true? 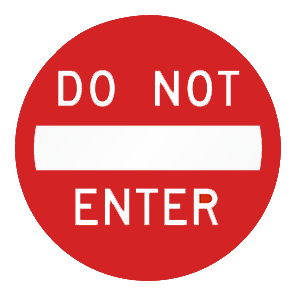 It is against the law to go around lowered gates at a crossing. You must stop at a railroad crossing when directed to do so by a flagger. Not all railroad crossings are equipped with flashing red signals and gates. You must stop at a railroad crossing when directed to do so by a flagger, stop sign, or warning devices, such as gates or flashing lights. Not all railroad crossings are equipped with such devices. It is against the law to drive around lowered railroad crossing gates. Crossroad ahead. Watch for traffic. 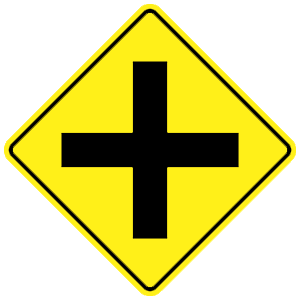 This sign warns of the presence of a crossroad ahead. The condition of your vehicle's brakes. The condition and type of your vehicle's tires. The distance that a vehicle needs to stop depends on the motorist's reaction time, weather and visibility conditions, the vehicle's weight, the conditions of the vehicle's brakes, the condition and type of the vehicle's tires, roadway conditions, and speed. They are weaving between lanes. They are driving more slowly than the normal traffic flow. They are making quick and sudden stops. Telltale signs of drunk driving include speeding, weaving, driving more slowly than the normal traffic flow, making jerking motions, and making quick and sudden stops. 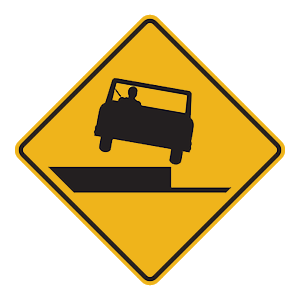 Hold down the brake pedal. Pumping the brakes is generally the best way to stop a car in an emergency. The car will stop quickly and you will also be able to continue steering.